The Cottage at Granite House 1880. 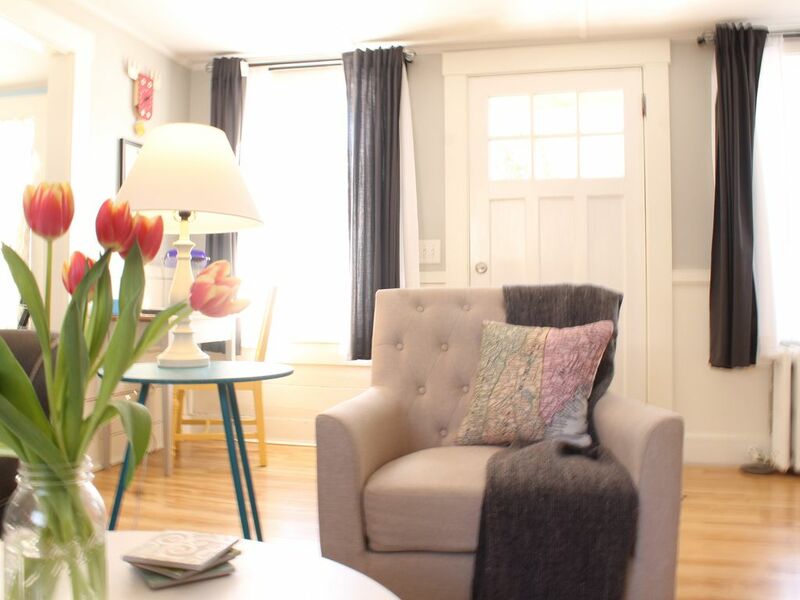 Our cottage is a few minutes drive to the newly rejuvenated Concord Downtown Main Street. Easy access to I-93 and I-89 and State Route 101. Centrally located - in about an hour drive you can be in Boston, NH/Maine Sea Coast, NH White Mountains, VT border. The Cottage is attached to our 1880 New England Farm home. Cozy, quaint and very comfortable space is perfect for a relaxing get-a-way or as a welcomed respite from doing business in the State Capitol. If you enjoy skiing, we are about an hour from some of NH's best ski areas. We are also within an hour drive of Boston, the Maine/NH Seacoast and Vermont border. This makes the Cottage a great place if you are planning to explore all that NH has to offer. There are two cozy bedrooms on the 2nd floor along with a full bathroom with tub/shower and full-size washer and dryer. *Close proximity to I-93, I-87, State Route 101. You'll find the Cottage at Granite House 1880 professionally cleaned with linens, towels, dishes, glasses, cookware, utensils provided and some toiletries, There is a full deck off of Cottage Kitchen. High-speed WiFi is free and available throughout the Cottage. We are very responsive via email, text or phone. We are usually right next door to the main house. We will gladly offer tips and advice on what to do in the area. Plenty of "areas of interest" booklets, pamphlets, and information are available in the Cottage. I am originally from Concord NH and have lots of family living there. The cottage is a perfect place for me to stay, close to all my relatives. I have already stayed there four times and wouldn’t want to stay anyplace else. Alex and Randy the perfect hosts , and if there is anything you need they will make sure it happens. Just can’t say enough ! Can’t wait to stay there again. The property was very cozy and decorated for the holidays . The only suggestion would be a hand rail for second set of stairs upstairs. Enjoyed our stay. Enjoyable stay in beautiful cottage next to the forest on northern edge of Concord. We enjoyed the opportunity to stay in this HomeAway setting. It was clean and very accommodating. We really enjoyed the option of a washer/dryer in the middle of 16 days on the road. Everything was in working order and it was nice to have a quiet oasis after travel and attractions. Enjoyed our stay at the cottage! Thank you Alex and Randy! We had a wonderful time! Thank you so much for staying with us! We are so happy you enjoyed your stay. We look forward to your next stay next time you are in the area.